BGG Microbadges are one of those little geeky things. They won't sell your game or promote it. To be honest, I can't see them making much difference in how are you going to do with your game. However, they are meaningful to active BGG users. Even only for this reason, it's worthy to submit a microbadge of your game or company so your fans can display it under their avatar. Probably most of you know quite a lot about BGG; however, not everyone submitted a BGG microbadge before. If you never did it before, you could find this article useful. Why not submit your microbadge straight away instead of waiting for someone else to do it for you? In this entry, I'd like to share my experience how I got Raku On The Board fan Microbadge. If you like my blog and you'd like to show me your support, get a Raku On The Board fan Microbadge. Oki Doki - let's start! If you are reading this article, probably not. But check it in case, it doesn't hurt! c. Type in the "Search Microbadges:" your microbadge's name and click search. Before you submit your microbadge, you have to prepare the right file. Each microbadge must follow special design requirements. Here's BoardGameGeek Design Guide. Read it carefully, please. I designed my microbadge on my own, and it's quite simple. If you can't do it yourself, you can ask someone for help on BGG Microbadge Submissions, Design, and Feedback thread. Without peer review, your microbadge will be rejected. I like this idea. It stops poor or not compliant with BGG rules submissions - admins are already very busy. Creators after feedback can improve and correct their microbadges and post them again in the same thread. Repeat till microbadge has a green light to go! For peer review, you need to post your microbadge on Microbadge Submissions, Design, and Feedback thread. Add your microbadge image to you BGG personal gallery in 16 x 16 pixels and then copy your image's ImageID. 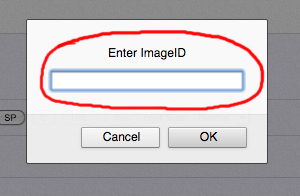 Then to add your image to your post click Insert Geek Image and paste your ImageID. It will look like that [ImageID=xxxxxxx]. It will help other designers to give you the best possible feedback about your microbadge design. They can see whether your microbadge well reflects your company's/game's logo. You're almost there! After you got a green light from users in the Submissions, Design and Feedback thread, you can finally submit your microbadge. Go to Microbadge Create Tool and fill the simple form. Here's place to choose a relevant group for your microbadge. Below I suggested groups you'll use for games, publishers and blogs. Most likely it's going to be the same as "Name". Grouping description is important when there are few microbadges about the same game, publisher, etc. Add description about your game or company. I added a very short description of my microbadge. Fan of Raku on the Board blog! It is a text which will show when someone will move their mouse cursor over your microbadge. Usually, it will be the same as name. This part is critical! You must paste here the link to your post in Submissions, Design and Feedback thread. Without that, your submission will be rejected! Also, it's a good place to thank admin for reviewing your submission. Tutorial: how to get a link to your post? a. Go to your post. b. Click on the marked area. In my example, it's "Posted Mon Jan 16, 2017 3:01 pm". c. Copy the URL from your browser. d. Paste it in "Note to the admin (required)" field. Once you are sure everything is ok, press submit! Congratulations - you have done it! Now, most likely you will have to wait few week before it will be approved. My microbadge was added after 2 weeks. For more details read BGG Microbadge Design and Submission wiki page. 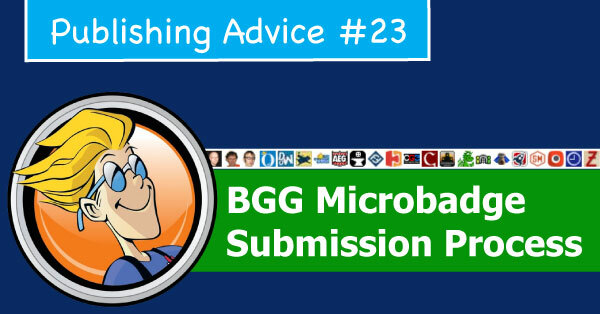 Please note: this tutorial is useful for adding microbadges to BoardGameGeek only. VideoGeek and RPGGeek have a different submission process. If you found my article useful or have any questions, leave a comment. If you would like to add something, let me know! Maybe you added a microbadge after reading my article? Share it here!